Promoting exercise is important to physical and cognitive health in older population. Tse et al. (2015) reported that low intensity exercise can improve flexibility, balancing and lower limb strength within in this population. Exercising does not appeal to all, Getting hot, sweaty and inducing soreness the next day can cause barriers to exercise (Schutzer and Graves 2004). Older adults find it difficult to meet moderate to vigorous exercise recommendations of 150 mins per week or 30 mins per day (NHS 2016). The combination of volume and intensity for physical activity and health benefits is key to exercise enjoyment and benefit for each person. Phillip B Sparling et al. (2014) researched as to whether a change in sedentary and light activities may lead to an increase in more intense exercise. Highlighting that light exercise may be more realistic as opposed to high intensity vigorous exercise. 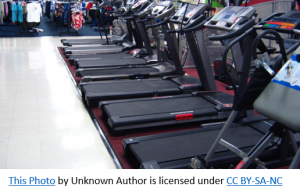 A form of low intensity cardio exercise at the same pace, or a steady state for a set length of time. Moving along at an easy, light pace. Physiology it is easy to do , straightforward and uncomplicated. Intensity can be measured using the rate of perceived exertion allowing exercisers to judge the level they work at, a scale of 1-10 with 1 equal to easier and 10 the hardest. LISS workouts can be an alternative To high intensity (HIIT). Low impact exercise such as walking, leisurely Swimming, cycling and rowing can create similar benefits to HITT (Foulds et al. 2014). These include improved heart rate, circulation, bone density and lowering of blood pressure. Whilst a HIIT is effective , using lots of calories in a short amount of time and improving aerobic capacity, attracting exercisers requiring a quick workout due to time restraints creating a more direct approach. It is hard work, challenging and at times uncomfortable. Combining HIIT workouts with LISS workouts alternates intensity helping the client stay on track to achieve their goal and performance. During HIIT improvement in individuals fitness continues after the workout due to post exercise oxygen consumption (EPOC) the amount of oxygen required to restore your body to its normal, resting level of metabolic function (called homeostasis) (LaForgia et al. 2006). It also explains how your body can continue to burn calories long after you’ve finished your workout. Recovery is important, fatigued muscles need to repair and gain strength. inadequate recovery between sessions may cause a detrimental effect to individuals training. LISS exercise sessions last 45-50 mins or longer so to avoid boredom within a gym setting switch exercises every 10-12 minutes. Using different muscle groups induces less fatigue and therefore lowering injury risk. Workouts require lower levels of physiological stress, which could help you to clear your mind and improve mood. Clients should always enjoy exercise as this impacts participation and adherence. 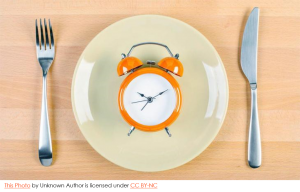 Intermittent Fasting ( IF) is Currently in fashion and a trend within weight loss schemes. IF involves intervals of reduced calorie intake within periods of normal eating. An example of IF is the 5-2 diet, also known as a modified fasting regime. Over 5 days of a normal diet, 2 days are calorie restricted to between 500-600 calories each day, about 20-25% of daily energy intake. Resulting in desired weight loss, the aim is to develop a healthy eating plan, which is sustainable and supports weight loss over time. IF can be popular with people who need structure and discipline in their diet to succeed at their desired weight loss. If you are an existing dieter who has reached a plateau and may need a boost this can work for you. Studies have shown that IF activates certain genes that are responsible for burning fat in the body enabling an increase in calorie being used including fat in the fasting period. By restricting calorie intake for a short length of time , it becomes manageable and the temptation to over eat or break the diet is less. Once your body adapts to eating with in a set time, it is easier to avoid snacking on the calorie filled foods or junk food. Studies show a benefit to IF. Identifying interventions, such as the 5-2 diet showing a significant weight loss within a 12 week programme. Additionally further studies have shown improvements in reduction of inflammation and lowering of cholesterol. Some side effects on mood and feelings were reported and these can include feeling cold, irritable, low energy and hunger, these can be due to the extreme change of diet and sudden change in energy intake. Mood improvements were also reported including reductions in anger, tension and fatigue ans an improvement in self confidence and pa feeling of positively. The first few days are the most challenging, so be prepared to give it time for your body to adjust to the new regime your imposing on it. Planning the diet around your lifestyle is crucial to succeeding, take time to give thought to when your busy days are, restricting calories by so much can impact on energy levels and , if fatigue is felt during the restricted days, then exercising may not be a good option. listen to your body and be aware of any changes to identify if IF works for you. Start slow and find what works for your body and your schedule. If it doesn’t come easy, don’t force it. If you find you are hungry and can not focus, your feeling tired, weak, or unmotivated, then take it back a notch. Be aware of your body, If you notice changes in your moods, or skin condition, these can be signs that IF is causing stress to your body. Always seek medical approval before commencing a calorie restricted diet. Beetroot was first cultivated by the Romans. In the 19th Century it was discovered that Beetroot could be converted into sugar and became very popular (BBC good food 2017.) Today a diet high in fruit and vegetables is widely known to promote a balanced diet and provide daily health benefits. With a growing interest in functional foods and possible health benefits beetroot is fast becoming a popular root vegetable. It is widely grown in this country and eaten daily as a vegetable and also used a a food colouring. Beetroot is a great source of nutritional value, including the greens, which are rich in Calcium and Iron and vitamins A and C and can be cooked in the same way as spinach. 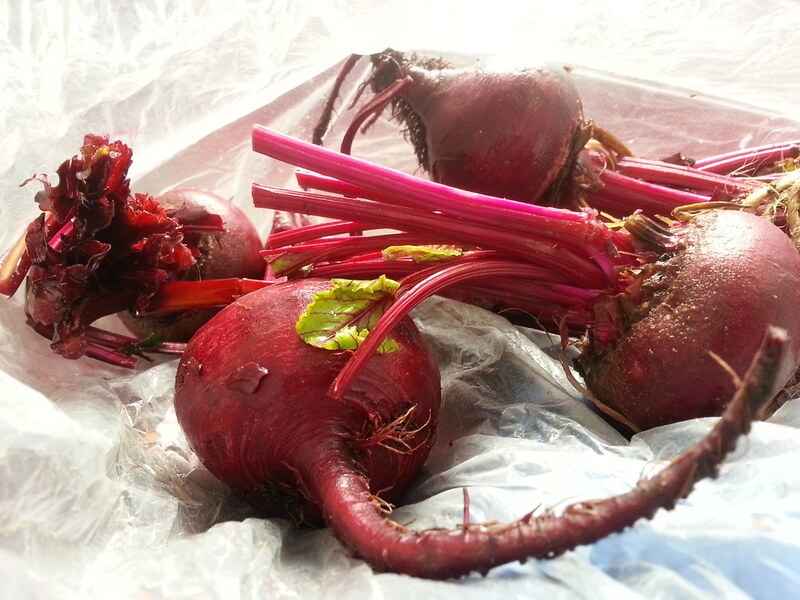 Beetroots are also an excellent source of folic acid and a good source of fibre, magnesium and potassium. Although beetroot contains a high sugar content , most people can safely eat beetroot 2-3 times a week enjoying sweet, earthy flavours and benefiting from all the nutrients. Why is is Beetroot popular? Beetroot contains Nitrate a source of energy . Since 2009 research into beetroot with non elite athletes has shown that nitrate from beetroot juice may sustain a higher level of power before fatigue kick in. Allowing you to exercise for longer, by using less energy to do the same amount of work. However it is worth knowing that to get the recommended amount you would need to consume 3-4 beetroots a day ( 200 g). Therefore in a concentrated form, beetroot juice is a more feasible option. a dose of 500 ml of beetroot juice or 170 of concentrated beetroot, or a shot of 200 g of cooked beetroot has been used in research studies and found to be effective. Research studies have shown that Nitrate peaks 2-3 hours after consumption and gradually decline after within a 12 hour period. Wylie et al 2013 suggest that the optimal ingestion time could be 2-2 1/2 hours before exercise. Cermak et al 2012 contrast this by suggesting Nitrate loading for 3-7 days prior to a competition resulting in high levels of Nitrate within the body. Nitrate is also found in leafy green vegetables such as spinach and rocket, celery and cress. The efficacy of uptake nitrate may depend on factors such as the ability of participant, including age, diet, and health and fitness status; the intensity, duration, and type of the exercise challenge. The amount of dose and duration of the nitrate supplementation . Beetroot can cause urine and stool colouration ,however, this is harmless and temporary. Antibacterial mouthwash can also inhibit the effects of nitrate uptake in the body and reduces the benefits of beetroot. Initially beetroot juice is converted into Nitrate in the saliva glands by bacteria. Using mouthwash removes the bacteria and blocks this happening. Becoming a Pilates teacher has changed my life. In addition to teaching group classes, Pilates lends itself to 1-1 sessions. Based on deep body conditioning and traditionally used for injury rehabilitation by dancers, Pilates has migrated and become a popular effective exercise method alongside weight and aerobic training. My classes are popular with older and younger populations and I regularly receive requests for 1-1 teaching sessions and referrals from a chiropractor based on site where I work. Clients may have lower or upper back problems and frequently have poor core strength, hip flexibility and contemplating a change. Planning a Pilates or personnel training exercise programme specific to a client’s requirements, focusing on improving core, hip and back strength improving pelvic stability, flexibility and joint mobility is exciting and daunting. Pre assessments may include functional movement assessments, (movement ability within an individual is assessed and then scored accordingly and a course of action is developed, aiming to correct the issues. (Cook.et al.2010.) A Postural assessment where individual posture misalignment can be highlighted..
An important part of planning an exercise programme. The goals should be discussed with the client and set by both the client and trainer. Finding out what is expected from the programme, and specific improvements they would like to see. From theses goals can be set. Be prepared to revisit these goals and reevaluate if they are reached or becoming distant. To create an individual training plan and amend it as required is so important to gaining clients confidence and satisfaction. It is not an all rule for one, and individuality is the key to success. So, refocus and be prepared to change if needed. Being able to restructure the session to accommodate situations that arise . A trainer needs to adaptable to change and adjust so that the client can continue to train and enjoy it. I have planned sessions and had to change when I realised it’s just not going to work that day, regressing to a previous session or simplifying the session. Be prepared to change, always work with your client, accounting for change in mood and lifestyle. Be realistic It is not a quick fix, and progression may seem slow, therefore setting goals that relate to the client is essential to keep up motivation and commitment. Cook, G., Burton, L., Kiesel, K., Bryant, M. and Torine, J., 2010. Movement: functional movement systems: screening, assessment, and corrective strategies (Vol. 24). Aptos, CA: On Target Publications. Merrill.S,Green.D. ACE Personnel Trainer manual. 9th Edition.San Diaego:American council on Exercise,pp42-48. I love to dance, whether its dancing in my kitchen listening to the radio or a play list, or at a dance class or on the occasional night out. Dancing like its in my soul. From my youth to now i still can’t resist, when i hear a good beat in a song, either bursting into dance or thinking can i use this in my keep fit class? 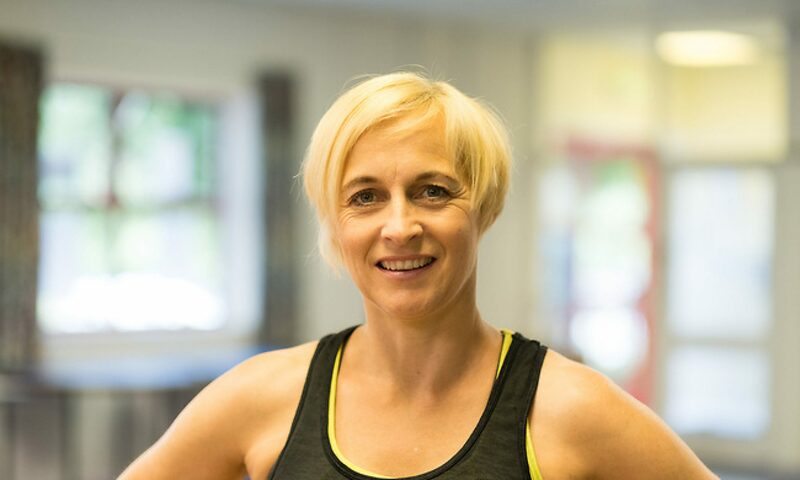 Let me introduce myself, i am a Laban trained movement dance teacher, Pilates teacher , personnel trainer and mother of 4 of the most fantastic children. Currently studying my third year of a Fitness and personnel training degree.Making the decision to leave a full time job was huge, but at a time in my life when change was required. 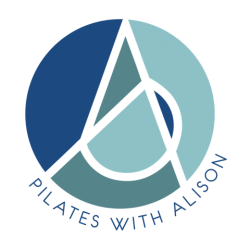 I qualified as a Pilates teacher in 2016 and work part time at West Wight Sports and Community centre. I love teaching Pilates, and am aiming to train as a yoga instructor after my degree course is completed. I teach a keep fit class and belong to the Keep Fit Association,an established body – from 1956 – dedicated to the provision of safe and effective exercise, movement and dance. movement is based on Rudolph Laban’s principles. Known as the father of modern European dance, he devised a clear and concise movement language that gives teachers the tools to provide an holistic workout with functional fitness through creative choreography. Basically we are people who love to create movement and dance and enjoy a social side too. Music plays such an important part in my class, and as my ladies are all post 45 a wide genre is always popular. whether doing seated exercise or creating a short routine choreographed to current or past music. Music motivates and creates or reminds you of a memory. Dance is an good form of exercise, regardless of the style, keeping the heart healthy, improving cognitive function and improving muscular strength, endurance balance and co ordination. There are so many classes to try from seated exercise to ballroom, Lindy hop, Salsa, modern, street or Zumba and club dance and many more. So if you fancy a dance and having lots of fun whilst improving your health and well being, go explore your area and give it a go.